When I last wrote on A United View I looked forward to the season with a degree of optimism. Optimism that, as things stand, seems well placed, notwithstanding the recent run of results. The football, the odd game aside, remains as expansive and as exciting as that which saw us soar to the League One title. Memorable away victories at Leeds and Hillsborough, an amazing comeback at home to Hull and the bizarrely topsy-turvy defeat to Fulham, each showcase what Wilder's Blades are all about. The injuries to key players, something we were lucky with last season, and suspensions have hit hard. Yet within that 5 game run without a win, you could argue we were worthy of 3 points against both Birmingham and Bristol City and a point against Fulham. In some ways Wilder's pursuit of 3 points at the expense of 1 has gone against us, but the positives of his approach can be seen in the league table where the other lot across town have lost fewer games than us but still find themselves 10 points behind in the table. The challenge of losing key players in Coutts and Fleck has yet to be overcome and replacements have either not grabbed their opportunity, or do not fit the system that the Coutts, Fleck, Duffy triumvirate excel in. Yet still we sit 6th. Our start giving us a tremendous platform to push on for a chance at promotion that few people would have thought possible back in early August. 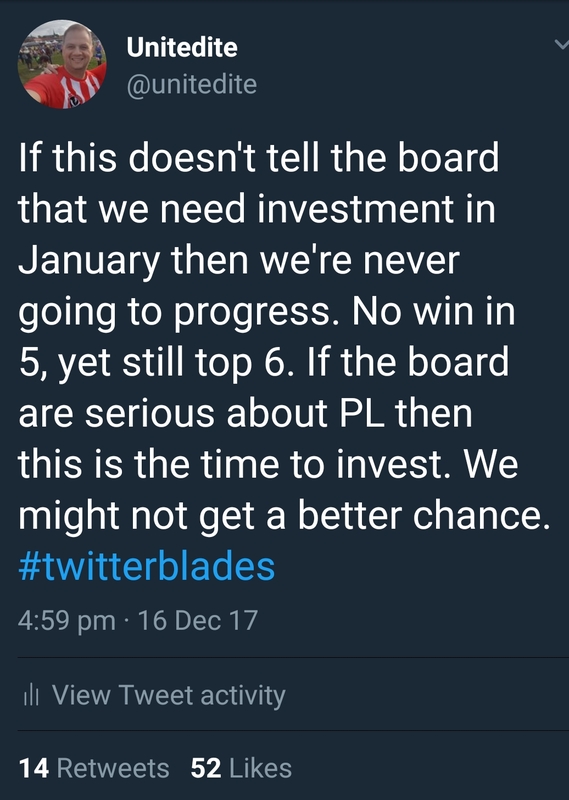 Back at that time I posed the question, if we find ourselves in the Top 6 come January will the board invest? I said yes I believed they would. Opportunities for promotion are not guaranteed in this division. A strong finishing position one season does not necessarily lead to a similar outcome the next. Ask Reading, Derby, Middlesbrough, Norwich or Brentford in recent years, or look across the city this season. Therefore when you are up there with a platform to progress why wouldn't you take that gamble? Who knows when that opportunity presents itself again? When you have caught the division cold, playing with confidence and a successful system, seeing little to fear in the opposition we have faced, it is surely the right time to back the manager with the funds he believes necessary to compete for a Top 6 place to the end of the season. The owners' stated aim is Premier League football. That is the only realistic way the McCabe family achieves any sort of recompense for the millions invested and loans written off over a number of years. For the Prince, his money has been thrown at a football club with no real assets and whose losses he is propping up each season. Top tier football offers his only realistic means of financial return. That's not to say that I am advocating spending big. 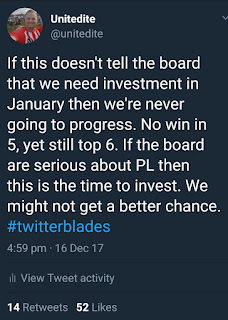 When I suggested on Twitter that this is the time for the board to step up, some responses suggested that we couldn't go spending £10m on a player and that such statements are easy when it's not your money. The latter is correct, but if you don't give the manager the tools now, when will you? In 2 or 3 years after consolidation, but when the financial trickle-down from the Premier League means the sums required are even more inflated than they are now? I certainly don't advocate spending silly sums on individual players. Our success is built on a team spirit and work ethic that I have not seen at the club since the back to back promotions under Dave Bassett in the late 80's. Wilder finding players with the hunger to grab the opportunity we have presented them with. The lower league talent needing a bigger platform, or those not gambled on by their clubs after injury or loss of form. The Premier League loanees whose clubs see a way to build their experience playing football the right way in front of a large and demanding fanbase. Why upset the wage structure? Why fracture a whole that is arguably greater than the sum of its parts? Instead, give the manager enough money to make the signings he wants to make. Signings that enhance the starting XI, provide alternative options from the bench, but also fit a style of play that has been hugely successful but is perhaps lacking the zip of the last 12 months. Whilst there is an argument that you don’t get best value in January, August means starting again. It means hoping we get to December with 35/40 points, it means hoping summer signings gel. Bringing in the players now, gives both impetus to the current season’s objectives and beds those players into the squad to push again next season, if we were to fall short this. Much is made of Chris Wilder being a Blade. That is great, many fans would love their manager to have the connection with the fans that we enjoy. Yet he is human and will surely be ambitious. Clubs will see his success and he moves on to radars that he was off twelve months ago. 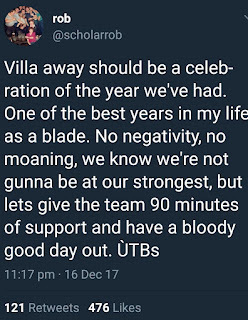 If they offer him resources to achieve further success, resources that don't exist at Bramall Lane, then I think it is fair to assume that his Blades bonds aren't unbreakable. Everyone looks for an opportunity to shine; to do the job to the best of their ability at as high a level as is attainable. If there was a time to back Wilder it is now. The question is, will he be backed? When Simon and Scott McCabe resigned from both the SUFC board and the Blades Leisure board (the entity in which the football club is held) in September, it was said that they were busy and had their families to focus on, alongside which Prince Abdullah wanted to be more involved. This followed the appointment of the Prnce to the board of directors on the 4th August along with Yusuf Giansiracusa, who replaced Selahattin Baki as one of two representatives of the Prince on the board. In October, Tareq Hawasli (the other representative of Prince Abdullah) appeared on Alan Biggs’ Sheffield Live show and stated that they “wanted to make a strong push to make the Premier League and that’s the direction we are heading towards”. He then stressed the importance of supporting the development of the academy products, securing the star players in the squad at that “Coach Chris is supported in anything he needs, as long as we can”. Then re-affirming that the board is active and very supportive of “Coach Chris”. This collegiate working and leadership sounds great and would be happily accepted, but for an unusual amount of activity on both the SUFC and the Blades Leisure boards over the last 4 months. Since the 8th August there have been 6 terminations and 7 appointments to the SUFC Limited board, but this masks multiple ins and outs. Following their departure on 7th September, Simon and Scott McCabe were re-appointed on 13th December. Football club Chief Executive Stephen Bettis has been doing the hokey-cokey; standing down as a director on 4th August, re-appointed on 9th September only to stand down again as the McCabe’s returned on the 13th December. In addition Jeremy Tutton was appointed a director in this period and Martin Green was in, then out, then back in again. Whilst this might seem like corporate manoeuvring detached from the football club, it seems to conflict with the words used elsewhere. What has changed such that Scott and Simon McCabe need to be back on the board and what has happened to the trust Kevin McCabe placed in Martin Green, Stephen Bettis and Jeremy Tutton just three months previously. At the recent AGM Kevin McCabe said the intention was for the Prince to play a bigger role at United and that he had more time now he was free of government responsibilities. Yet at the same time he only thought the prince was okay as he hadn’t seen him for two months. To a fan listening in this is concerning and there is little evidence to reassure that things are as rosy as was painted just three months ago. Nobody really expected us to be where we are and we should absolutely enjoy the ride we have been on in the last fifteen months. 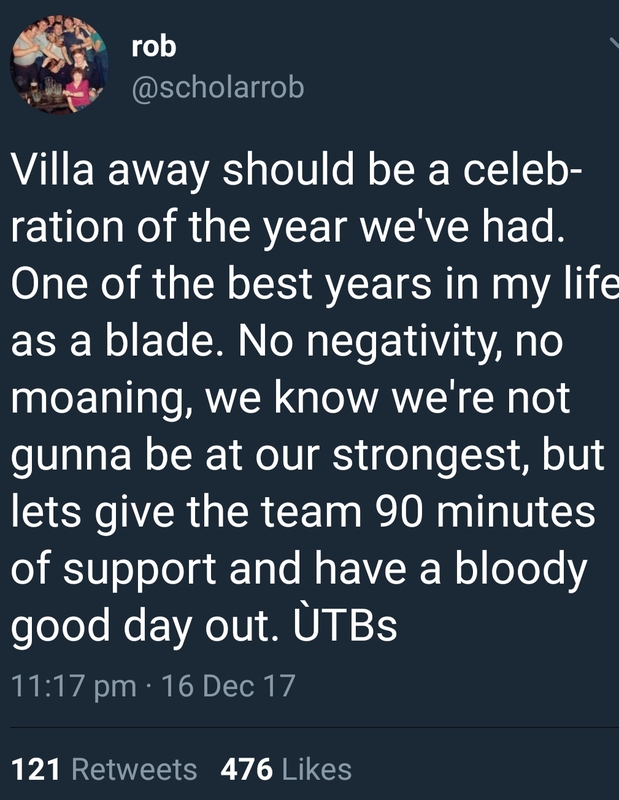 To paraphrase what fellow blade @ScholarRob on Twitter said, whatever the result at Villa, celebrate all we have seen, enjoyed and loved following the Blades in 2017. But that doesn't mean we shouldn't expect more and it doesn't mean we should settle for consolidation when a much bigger prize is potentially within our reach. If we were mid-table then this clamour would not be there. Even in the position we are in some may say it is a gamble, but if the board don’t seize the moment now, when will they? We can keep holding on for tomorrow, but what if tomorrow never comes?